Eight Point Lake beauty. "BOGO" Two homes for one!!! A TOTAL of 6 bedrooms with 4 baths!!!!!. Updated and Remodeled 2003 ..Main home has 4 bedrooms and 3 baths and attached 2.5 car garage. Second home across the street is carriage style with 3 car garage down and 2 br , 1 ba, above with separate furnace/ac, well and septic. The main home and the carriage house are extremely well appointed and well cared for. From the exterior , with a spacious lakeside yard, beachfront patio, steel seawall and grade level swimming area is professionally landscaped.... To the home with covered patio, and wrap around decking with updated interior it is a special place in all seasons. The interior of the main home features wonderful lake views, 4 bedrooms, 3 baths, some wood flooring, open floor plan, with plenty of spaces for a little quiet time too. There is a walk out basement with an area for coming in off the lake with wet suits and sandy toes. There is also a bedroom, bath down and sitting area in the walkout. The carriage house dimensions are: Great room 21x20, kitchen 14x14, bedroom 13x14, bedroom 2 12x10 and utility room 6x6. Nicely landscaped with a attractive back yard. 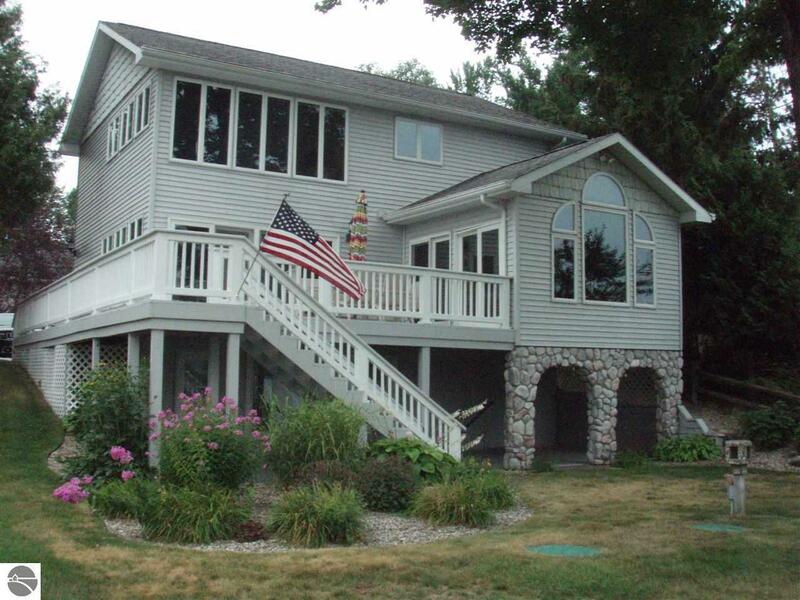 If you are seeking a lovely lake with a equally fantastic home search no further. Waterfront Details: Priv Frontage (Wtr Side), Inland Lake, All Sports, Private Dock, Sandy Bottom, Gradual Slope to Water, Sandy Shoreline, Yes, 48 Ft.